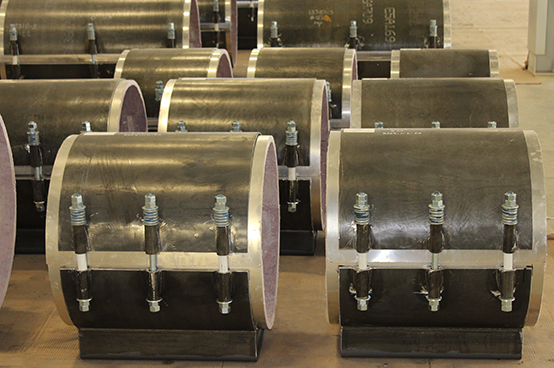 PyroWrap Pipe Supports | Rilco Manufacturing Company, Inc. 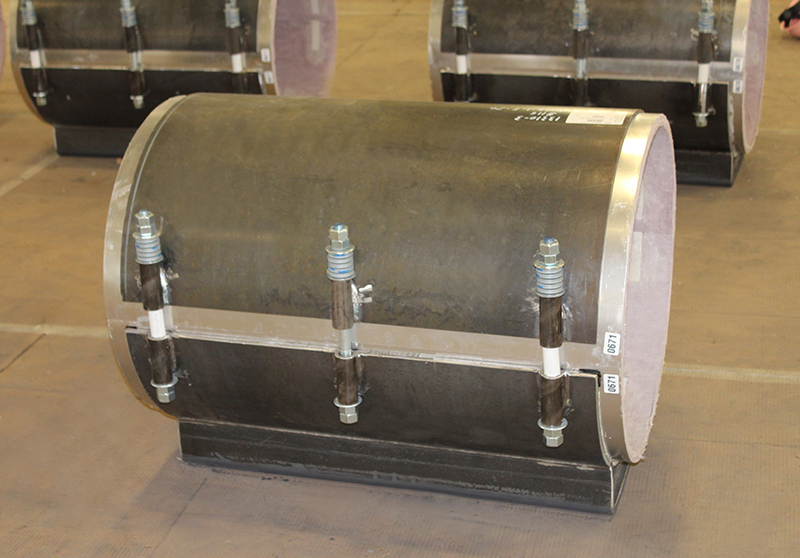 The PyroWrap pipe supports systems are manufactured to match the diameters of the Aspen Aerogels® Pyrogel® XT-E insulation thickness allowing for seamless transitions from the support structure to the line insulation and for the piping to be nested closer together throughout the design of the system. 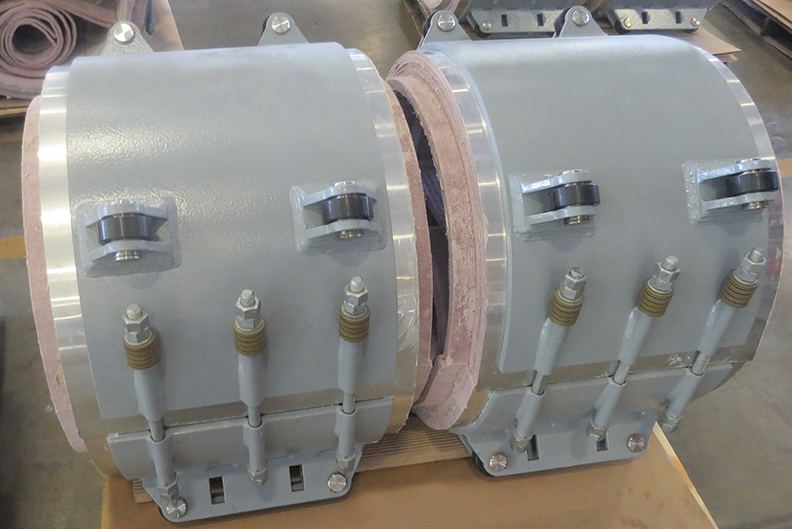 The Pyrogel® XT-E insulation is hydrophobic meaning it will prevent moisture from penetrating the material itself; however, water vapor is still able to escape through the insulation significantly reducing the onset of CUI (Corrosion Under Insulation) at the pipe support locations. The graphic below indicates a diameter comparison of Pyrogel XTE insulation compared to several other materials. All four designs provide the same level of thermal protection. 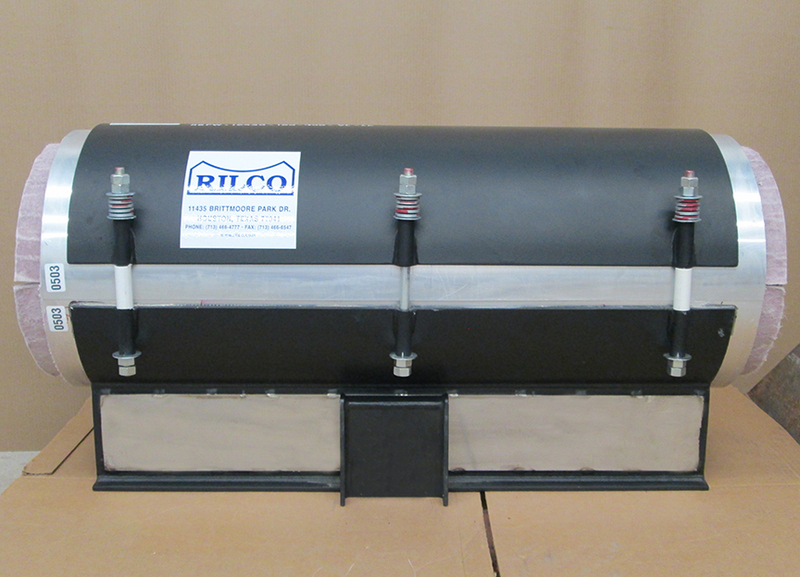 The design of the Rilco PyroWrap system also permits for the modularization of the pipe. 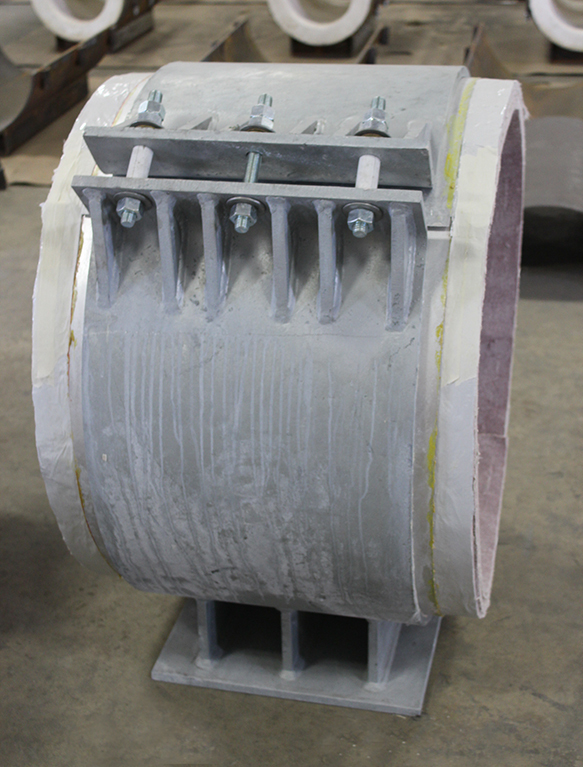 This feature provides the option for the supports along with the insulation to be pre-installed off-site, or at a safe location on-site. The durability of the systems enables the pre-installed sections to be transported to the project site without damage and has proven to be an extremely cost effective efficient method of construction. 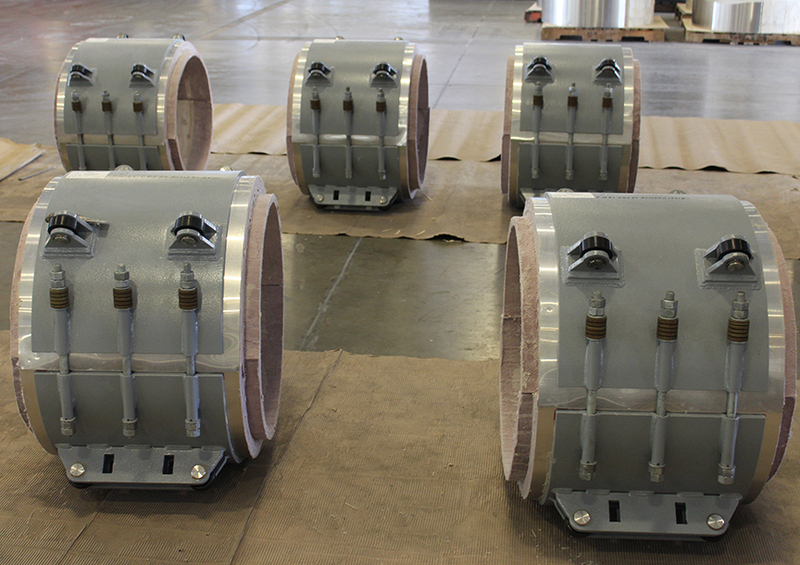 The PyroWrap pre-insulated pipe supports are designed as either a resting, guided, or anchor support. 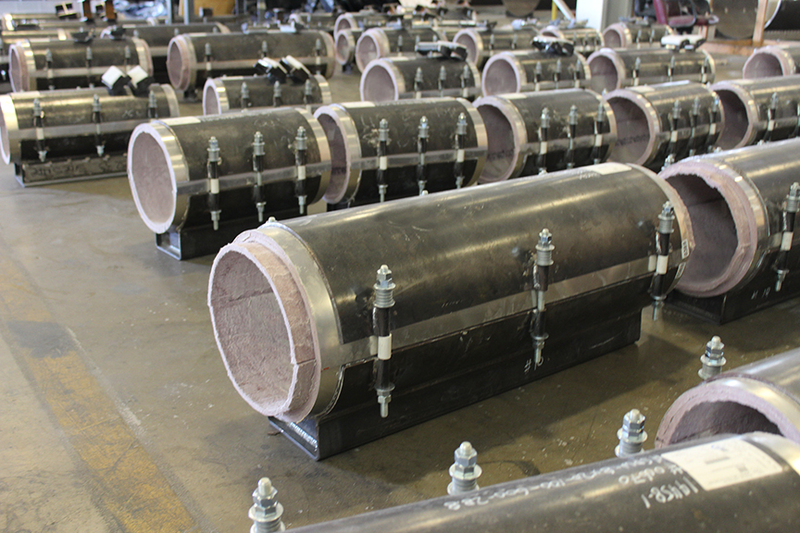 Rilco PyroWrap™ pipe supports are differentiated from alternatives by the hydrophobic properties throughout the entire matrix of insulation rather than merely on the surface level. 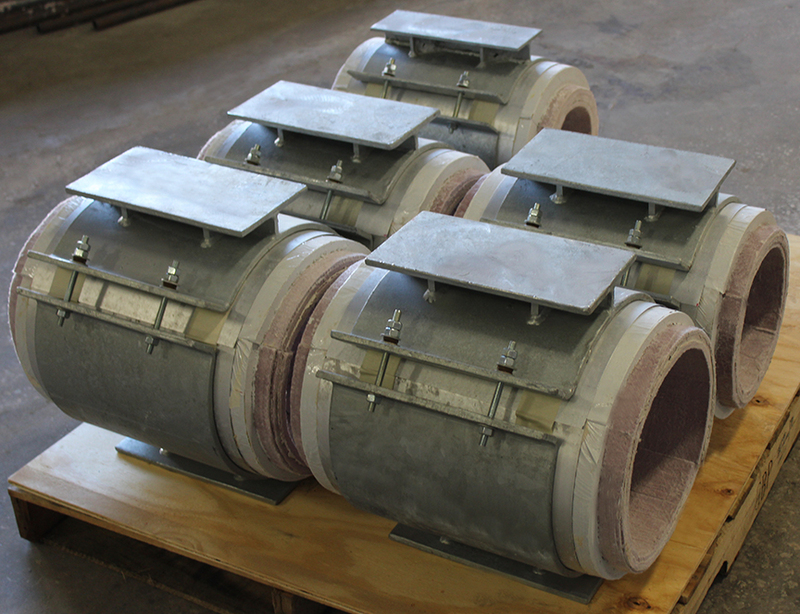 The structural integrity of the system is unsurpassed due the durability and resilience of the supports and insulation. 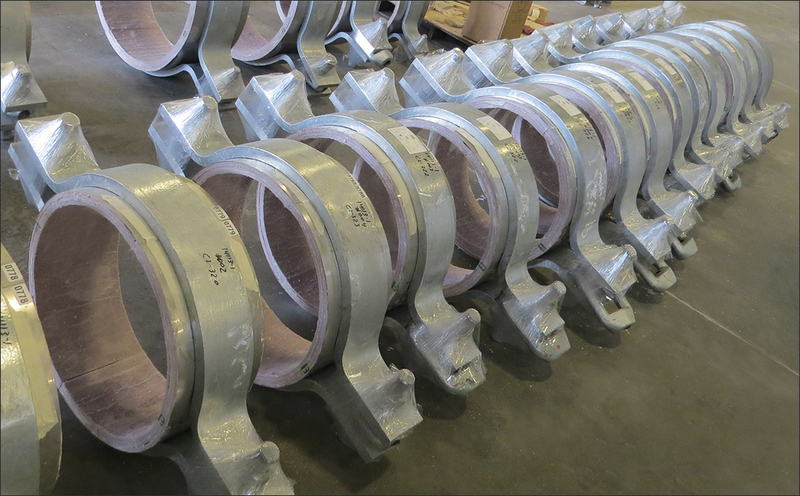 The supports are designed to function in our clients’ project environments and pipe stress situations. PyroWrap™ supports are 50-75% thinner than systems with traditional hot insulation such as Calcium Silicate, making them lighter and, therefore, less costly to install. Furthermore, our supports are uniquely designed for each project and backed up with physical testing in order to ensure they perform for the life of a project. Finally, one of the most essential benefits that the PyroWrap™ systems provide is the ability to support the pipe without sacrificing the dimensional and thermal insulation benefits of the Pyrogel XTE™ material. 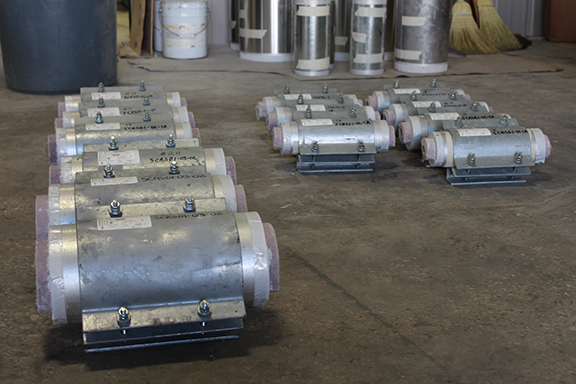 When the Pyrogel™ is backed by the Rilco support design and product expertise, the result is a pipe support of the highest quality for our clients. 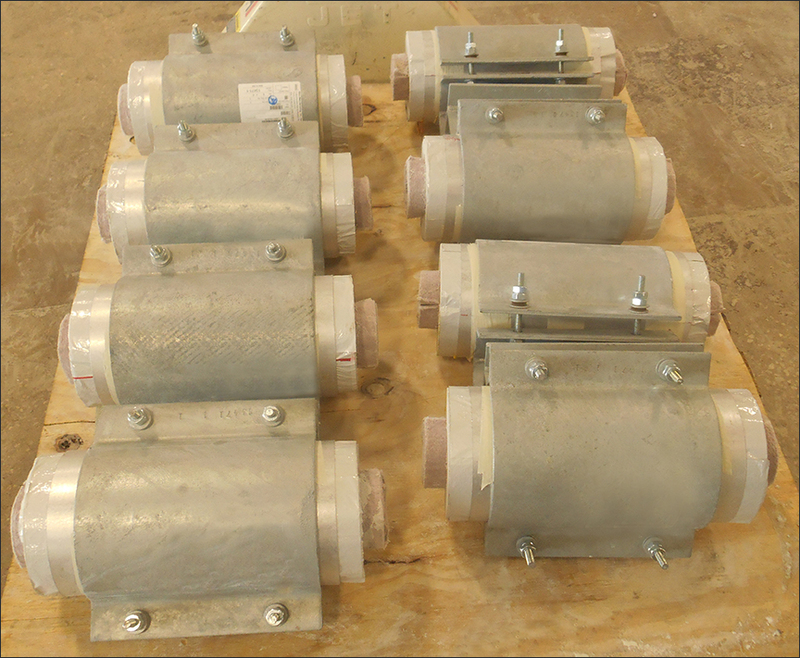 View our PyroWrap Catalog for complete specs. 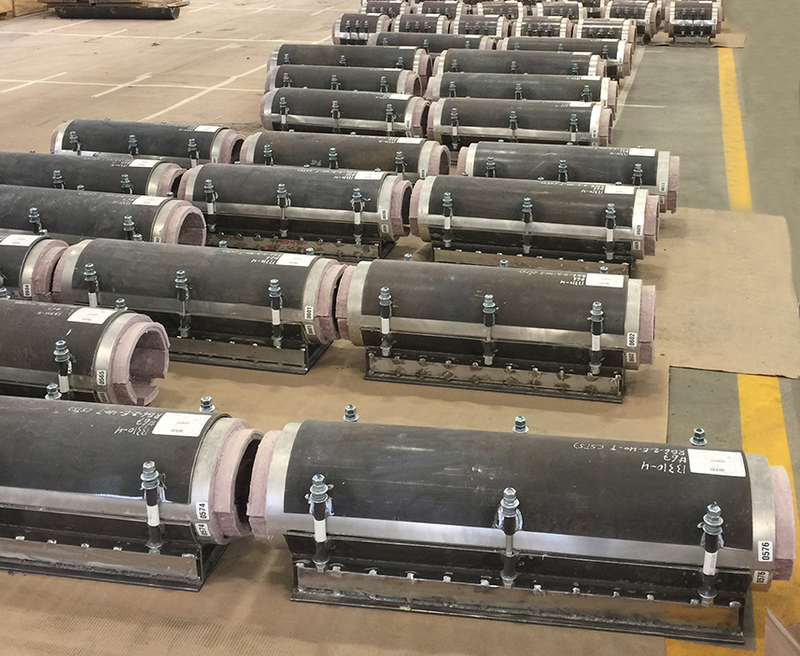 Rilco PyroWrap Pipe Support systems are applicable for environments up to 1200 degrees F. The Pyrogel® XT-E Insulation material is used widely in refineries, petrochemical, and gas processing industries. It is up to 5 times better in regard to thermal performance than alternative insulation materials. 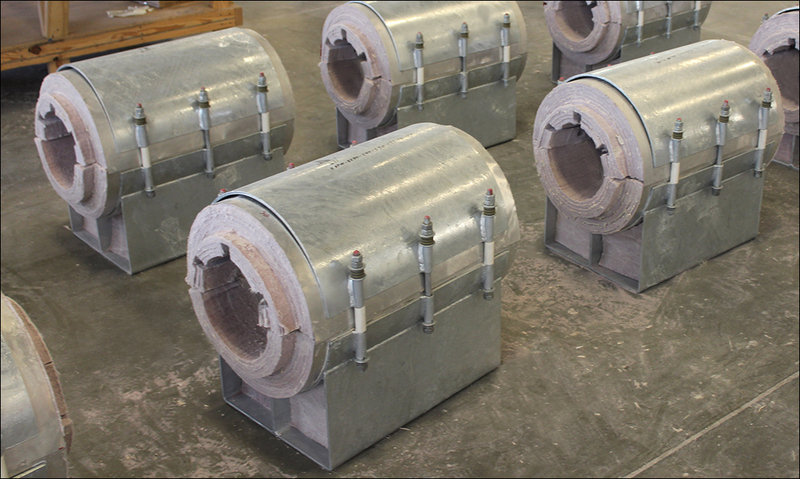 PyroWrap supports are 50-75% thinner than systems using traditional hot insulations such as Calcium Silicate, making them lighter, and therefore, less costly to install. The size reduction is largely due to the efficiency of the Pyrogel® XT-E insulation and the cutting edge design of the support structure.